Bangkok (VNA) – With 94 percent of the votes counted, Pheu Thai Party of exiled former Prime Minister Thaksin Shinawatra won the most MP seats at 135 while the Palang Pracharath of current Prime Minister Prayuth Chan-ocha came second with 98 seats, the Bangkok Post and the Nation reported on March 24. The Bhumjaithai and Democrat Parties came third and fourth with 39 and 34 seats, respectively. 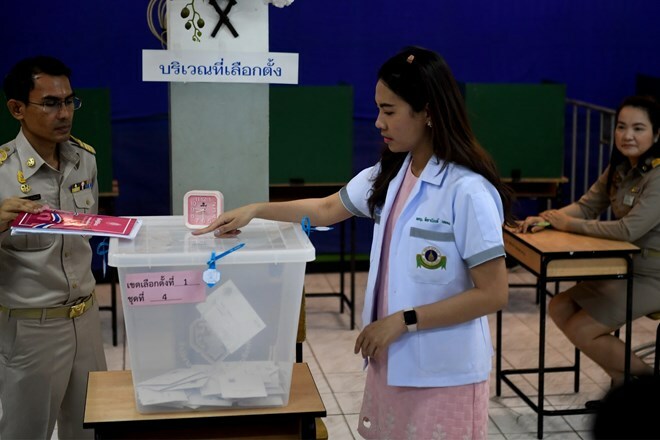 However, unofficial results direct from the Election Commission (EC), Palang Pracharath was leading with more than 7.1 million votes, followed by Pheu Thai with over 6.9 million votes, Future Forward Party with 4.4 million votes, Bhumjaithai with 2.6 million, and Democrat Party with over 2.1 million. With such results, Thai media said that Prayuth Chan-ocha could stay in power. A total of 81 parties contested the election, and thousands of candidates vied for 350 constituencies. The other 150 members of the House of Representatives will be elected from the national party lists under a system of proportional representation.